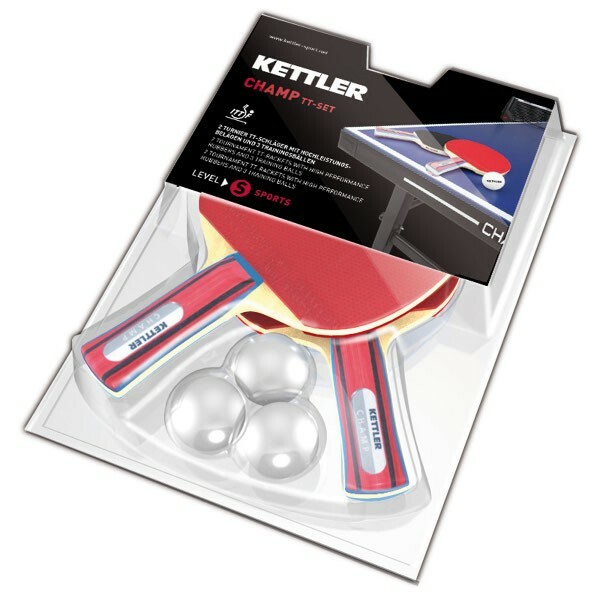 Two Kettler table tennis rackets and three 3 stars table tennis balls are included in the Kettler table tennis racket set Champ. The rackets with ITTF approved layer are ideal for fast matches which demand a high ball control. The table tennis racket is made of light wood, which is arranged in five layers and provides a maximum of ball feeling. The table tennis racket Champ has pimples inside, the sponge thickness is 1.5 mm. The grip is anatomically formed for a comfortable handling.